Each homeowner has his or her own version of a dream lifestyle, and they’re all living it at Ardiente. Set in North Las Vegas, Nevada, Ardiente puts active adults within easy reach of both world-class entertainment and daily conveniences. The Las Vegas strip is just 20 minutes away, while a variety of restaurants and retail centers are even closer to home. The Shadow Creek Golf Course is also less than three miles from Ardiente's gates. Ardiente was opened by Centex Homes in 2005 and acquired by Shea Homes in 2010. Today, the community is still under development with plans for 778 single-family homes. While Ardiente's prime location is near many retail centers and attractions, the gated community also features its own resort-style amenities and varied activities. Ardiente's 20,000 square-foot amenity center brings residents together with clubs, classes and community events. Special-interest groups focus on many activities, such as book discussion, cards and games, arts and crafts, hiking and social luncheons. Residents can also gather for many planned events, including movie nights, potluck dinners, happy hours, holiday parties and talent shows. The spacious clubhouse offers social areas like the cozy fireside lounge, elegant billiards room, versatile card room and functional computer room. Ardiente's state-of-the-art fitness center also makes it easy for residents to stay in shape. It features cardiovascular and strength-training equipment, as well as an aerobics and dance studio. The group fitness center also offers popular classes such as yoga and Zumba. Those looking for water-based exercise can also take aquacize or Tai Chi classes in the outdoor pool. 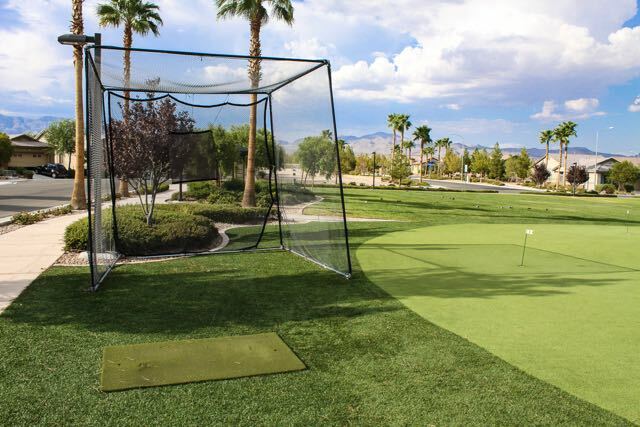 Sports lovers can select their game of choice with putting greens, tennis, basketball and more. Residents at Ardiente can enjoy the beautiful weather on the clubhouse's outdoor patio or soak up some sun poolside. Two outdoor pools let residents cool off with a swim, while an outdoor spa offers heated relaxation. The grounds offer many other outdoor amenities as well. There are two lighted tennis courts, four bocce ball courts, a basketball court, two putting greens and a chipping green. Extensive walking trails also feature 24 fitness stations for exercising in the great outdoors. For outdoor social gatherings, Ardiente's grounds feature an event lawn and barbecue area. There are seven parks, as well as community gardens and the beautiful Rose Garden. Ardiente offers a dog park for residents' furry friends as well. When it comes to homes, Ardiente includes a wide variety of single-family designs. Before the community was acquired by Shea Homes, approximately 280 homes were built by Centex Homes. These single-family homes are now available on a resale basis. They range in size from 1,235 to 2,352 square feet, typically including two to four bedrooms, a den, two full bathrooms and an attached two-car garage. Single-family homes designed by Shea Homes are currently available on both a resale and new construction basis. These floor plans are spread across three homes series: the Riviera Collection, the Monte Carlo Collection and the Portofino Collection. Homes range from 1,218 to over 2,400 square feet. They typically include two bedrooms, a den, two full bathrooms and a two-car garage, while the largest model offers up to four bedrooms, three bathrooms and a three-car garage. With beautiful homes, resort-style amenities and a fabulous North Las Vegas location, it's easy to see why Ardiente is a popular choice for active adults aged 55 or better.